Dissipating Disparities » Girlfriend…Pack Healthy Snacks in Your Purse!!!! There is one simple advice I always tell my female clients when adopting a healthier lifestyle is BE PREPARED! You must be ready and prepared to satisfy your hunger throughout the day with healthy, nutritious meals and snacks. Having healthy snacks and quick meals to go are the best way to kick that urge of giving in to high fat, high-calories foods in vendor machines or from fast-food restaurants. Just think about it. When you are prepared for a big meeting with your boss or momentum speech, you develop this undeniable confidence—confidence that allows you to face your fears, keep you on track, and control that moment you once believed that was impossible. Now, that’s the exact confidence you develop when you are prepared to choose and eat the right foods during those famished moments throughout the day. You have the confidence to control your food cravings and urges by eating healthy snacks and meals you’ve prepared. To that end, I would love to offer you a few suggestions on ways to plan and prepare simple meals and snacks throughout the week. #1. Always look in your own refrigerator or pantry to see what you already have before grocery shopping. I’m pretty sure you have at least three of these items already: fresh fruits and vegetables, peanut butter, crackers, cheese, cereal bars, snack size yogurt, hard-boiled eggs, canned tuna or chicken, canned fruits (in its own juice) are excellent items to build up your to go snack bag. #2. Take the time to plan your meals and snacks for the week. I know you have been told this numerous time, but this advice is so right on. First, check your pantry to see what you can just grab and drop in your snack bag or purse. Then, prepare large meals and evenly portion out in tightly sealed containers and label each properly. By doing this, allow you to save time, save calories, and save money. #3. Use Leftovers. You can enjoy your leftovers for breakfast, lunch and dinner too. Store leftovers under the correct temperature in tightly sealed containers until ready to eat. Always heat foods to proper temperature to prevent bacteria growth. For more information on food safety, visit www.foodsafety.gov. #4. And lastly, tell yourself that you got this! We all have busy lives but when your health is at stake, you must shift your to-do-list by making your health a number one priority. Now, start planning, preparing and packing. It’s worth it. 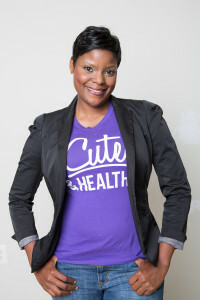 Charmaine Jones is a Registered Dietitian Nutritionist living in the District of Columbia. She loves to share simple nutrition and wellness messages through her interactive nutrition blog, www.foodjonezi.com. She is the creator of “Cute & Healthy” and “Handsome & Healthy” T-shirts. Keep up with Charmaine on Twitter and Instagram. If anyone is interested in purchasing a Dare2be t-shirt, please call 202-749-8657 or purchase online at www.foodjonezi.com. You can also read related articles featuring Charmaine at: Worldlifestyle.com, E-How, Active Times and Del-Immune V blog.